Crowded bike parking? Street sign too thick to use a U-Lock?. The Kryptonite China & Moly provides flexible, high security for those 'tricky to secure your bike' scenarios. The Moly padlock has a 'retained' shackle allowing you to carry the chain around your waist with the padlock in the 'unlocked' position, saving you time and hassle when you arrive at your destination. Supplied with keys on a convenient wrist band. 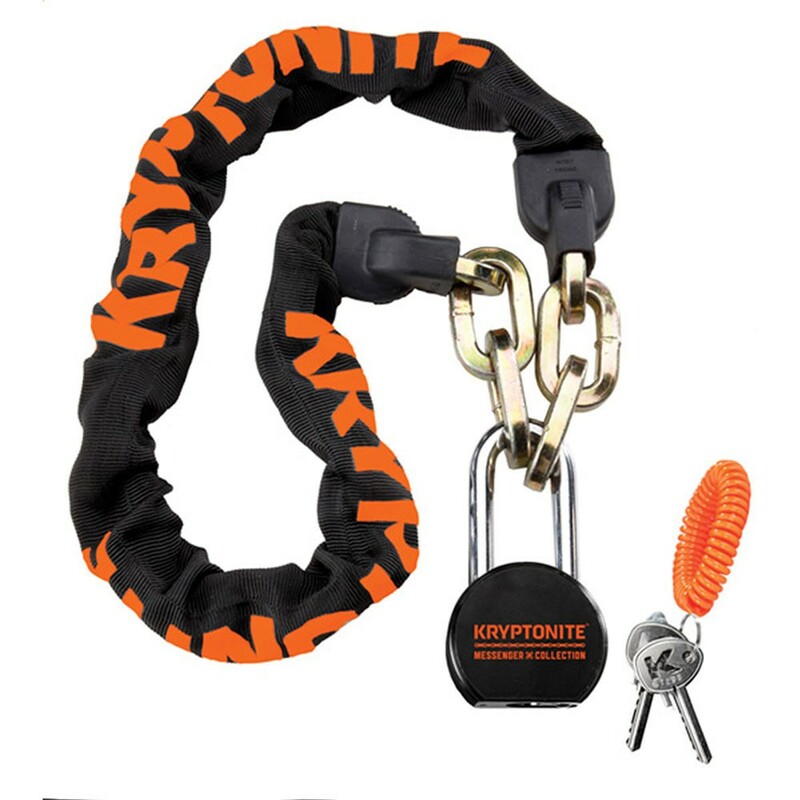 The Chain & Moly is part of the Kryptonite Messenger Collection - A collection of cycle security products which answer 3 key needs of the bike messenger community....Flexibility, Durability, One Lock Solution.